Discover latest and the best rangoli designs without dots with us. Make these rangoli designs for Diwali, Holi, Sankranti, Dusehra, Gudi Padwa, Ugadi and New Year. 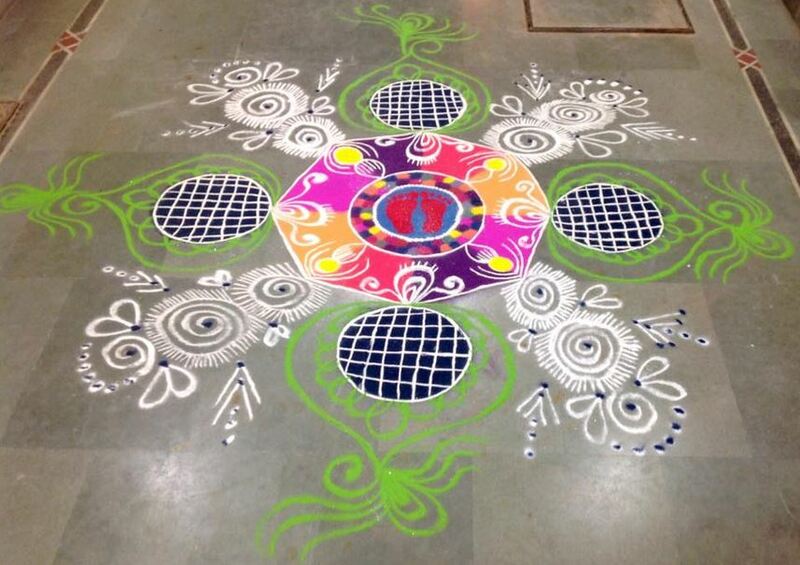 Rangoli designs add warmth and richness to Indian culture. They bring friends and family together. 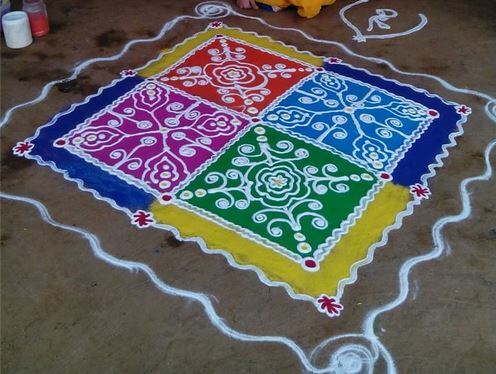 Women make rangoli in their home, office and temples. 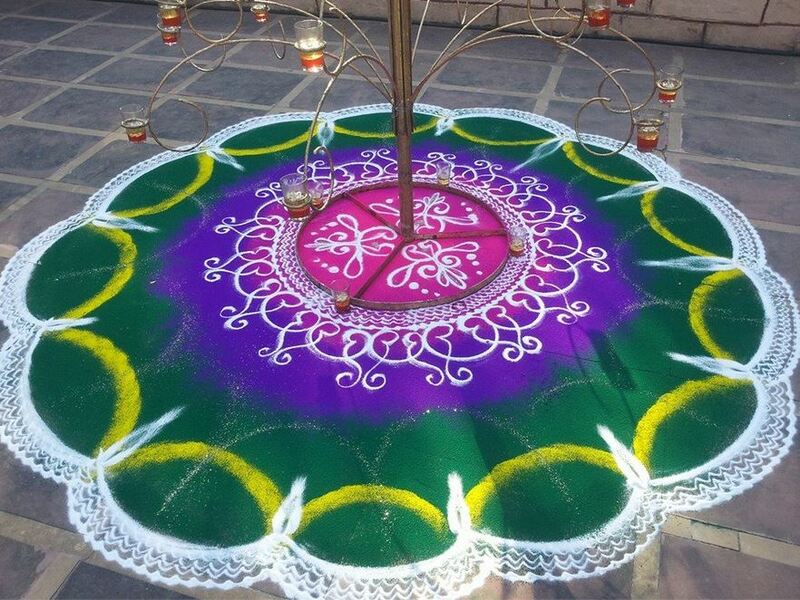 Many rangoli competitions are also held across the country during festive seasons. Create these free hand rangoli designs and display your love for art and creativity during festivals. 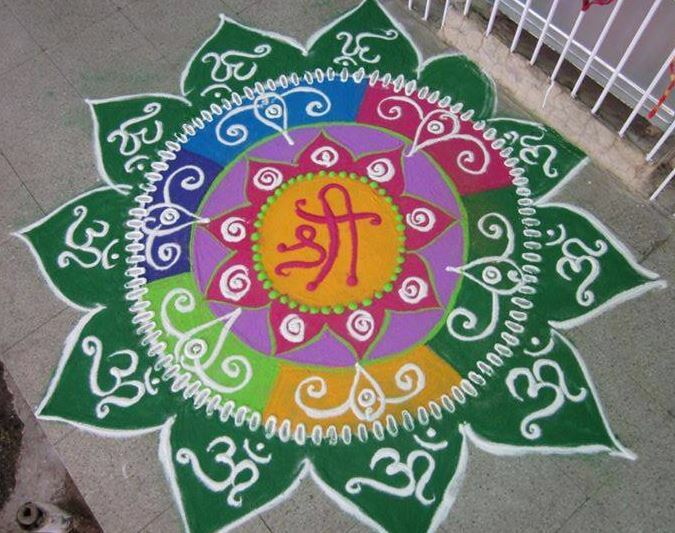 Take a look at our amazing rangoli designs without dots and learn how to make rangoli. 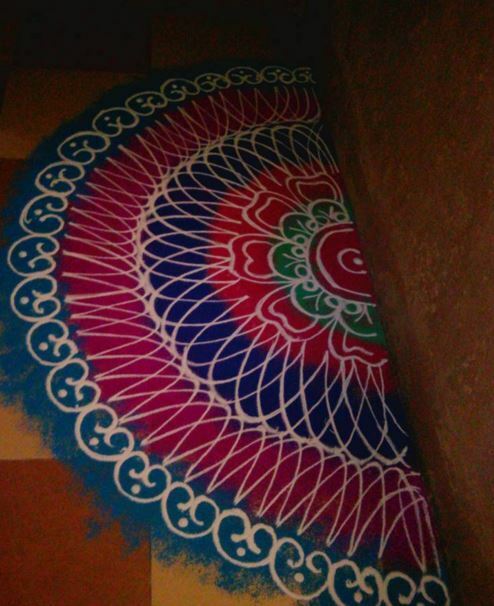 Make this rangoli in one corner of your house. Use red, blue, pink, green and orange color to create it. Here is a colorful, vibrant rangoli design that is perfect for Holi festival. Go for these cool, multicolored free hand rangoli designs. Use your finger to make those circles. You can use glitter to enhance your rangoli. The gold and silver glitter adds fun element to this pretty rangoli design. 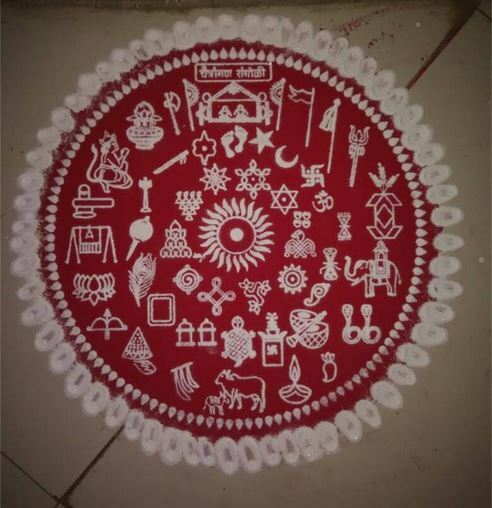 Create this circular rangoli for Diwali. Place diyas on it in the evening and see its beauty glow. 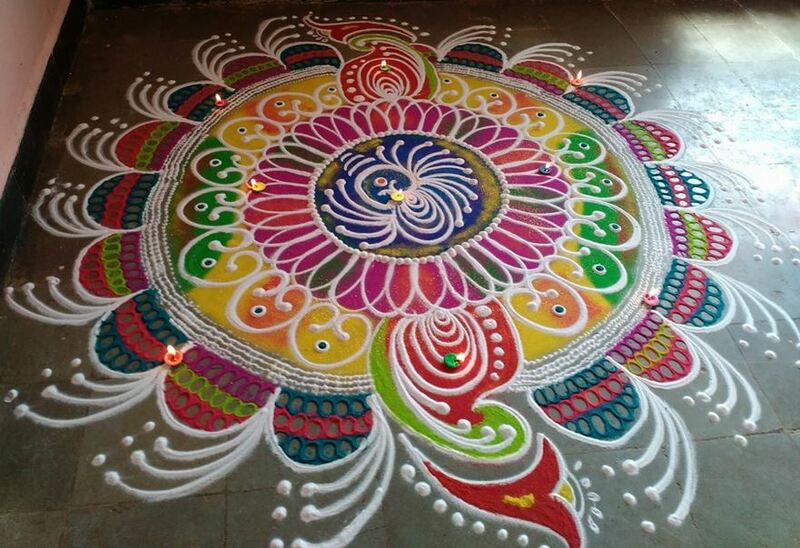 Go for this colorful, lively rangoli design. Make this rangoli designs without dots for Holi festival. This is the latest rangoli collection. 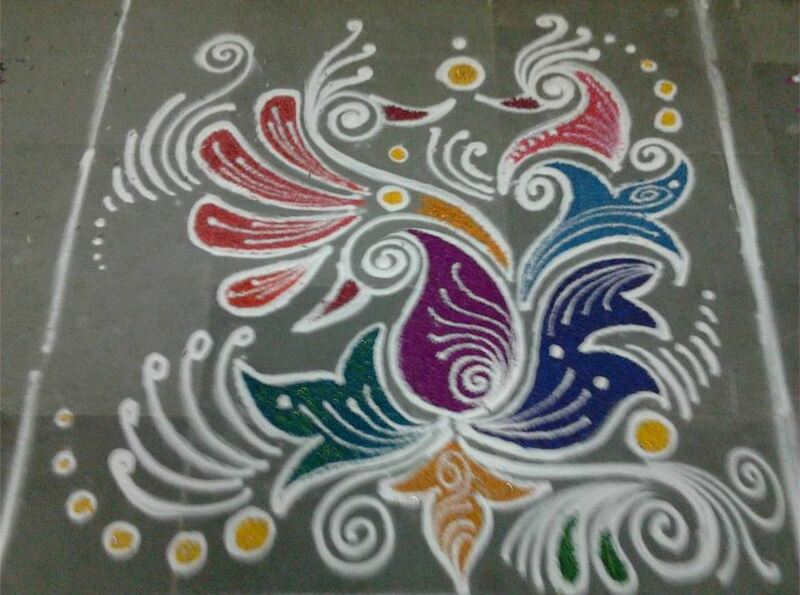 To make this rangoli, sprinkle color and make patterns on it. 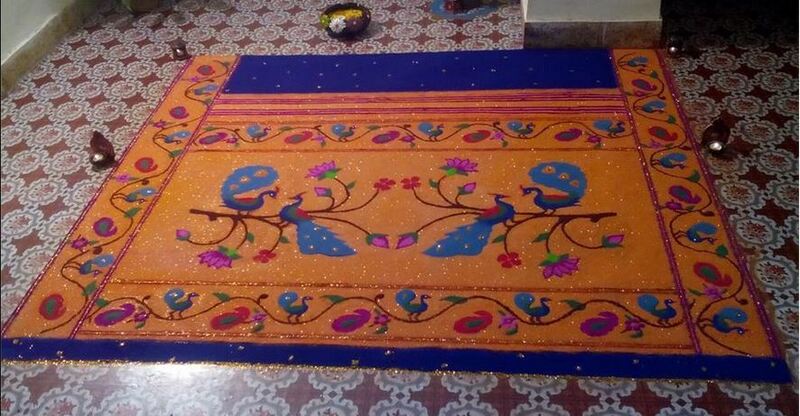 Design a paithani sari pallu for rangoli. This rangoli looks so real, it feels like picking it up and wrapping it around. 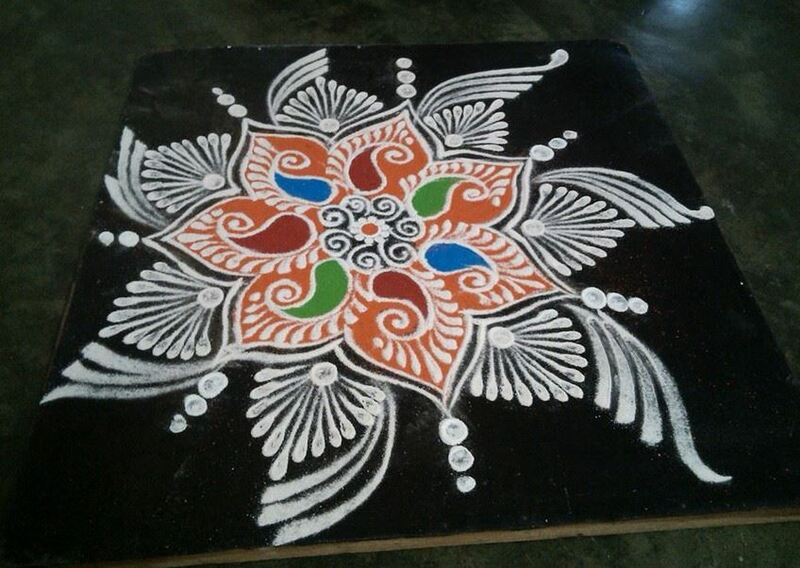 Here is one of our to rangoli designs. It is awesome and you can make this during any Indian festival. Try these rangoli designs without dots for Dusehra. 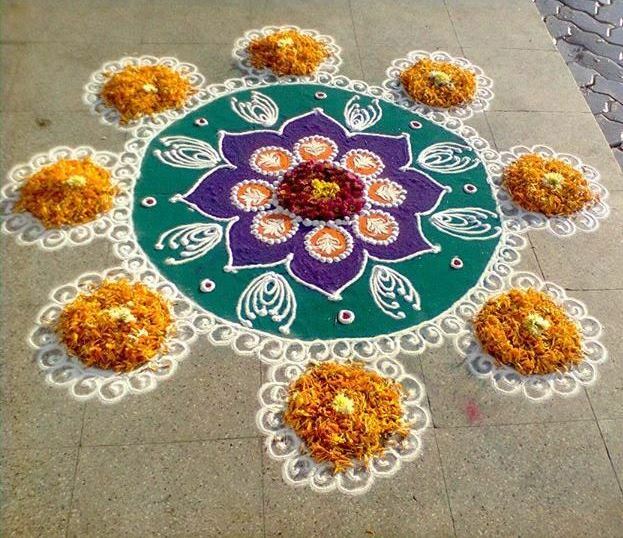 Create a colorful center and surround it with simple rangoli patterns. 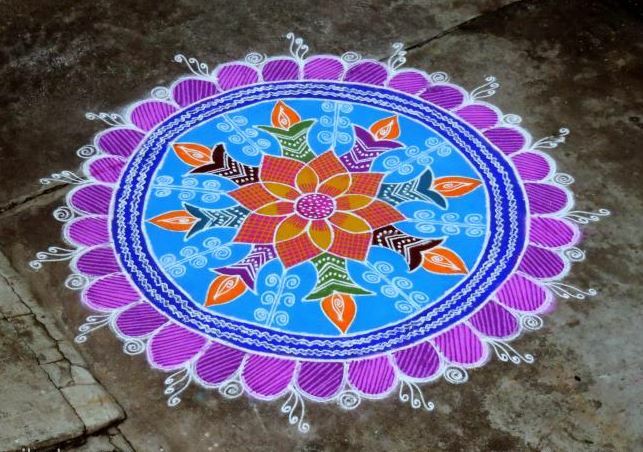 Try out this kolam rangoli; you don’t need dots to create this amazing kolam rangoli design. 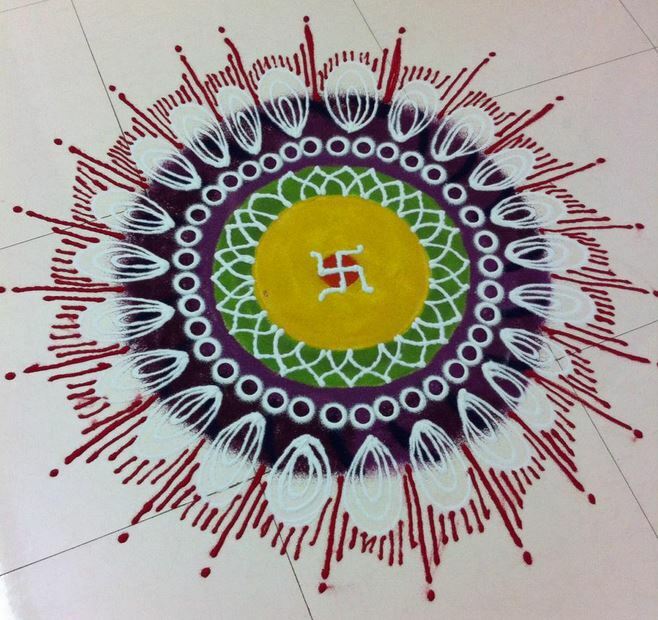 Here is a simple rangoli design for beginners. 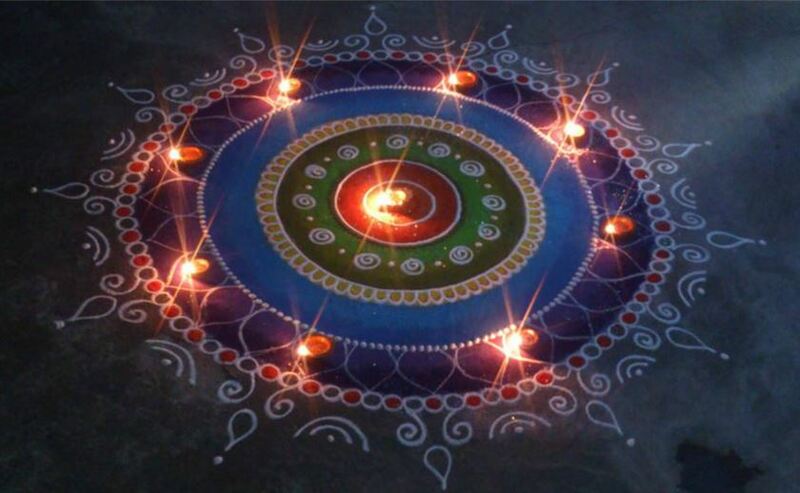 Make circles with rangoli powder and add easy rangoli designs on it. 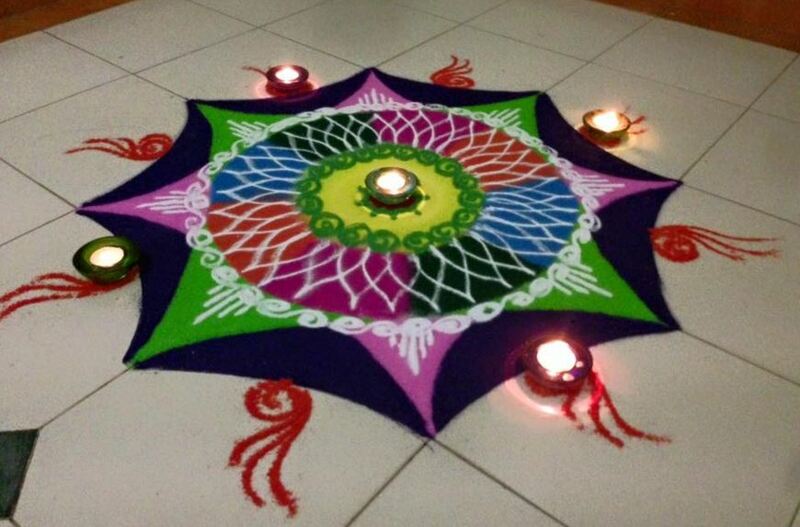 Check out these beautiful rangoli designs without dots for Diwali. This looks like a 3D rangoli, do try it. 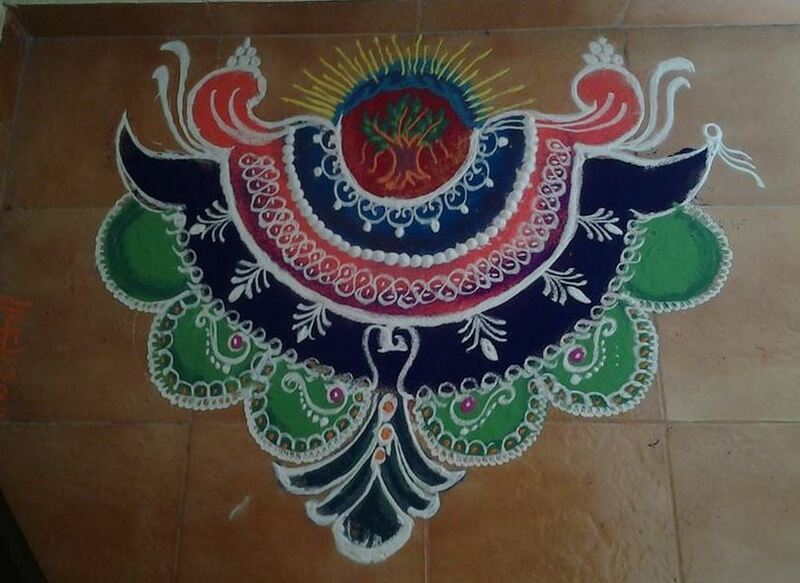 Make this easy rangoli design in your living room or at the entrance of your house. Use rangoli color and flower petals to make this lovely rangoli design for Onam. Use Sanskar Bharti patterns around the flowers. 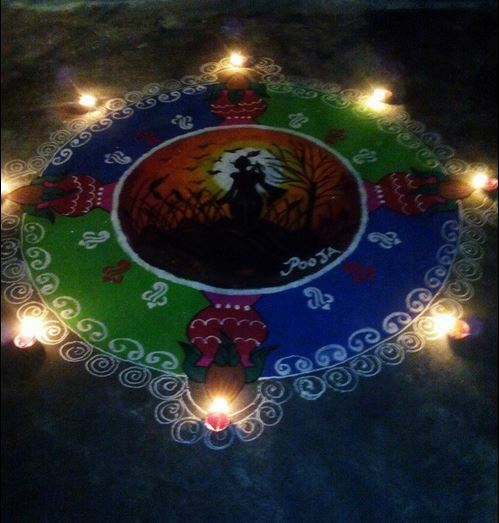 Many rangoli competitions are held during festivals. Make these rangoli designs without dots during the competition. This is one of the best rangoli designs I have ever seen. It’s cute, colorful and full of energy. 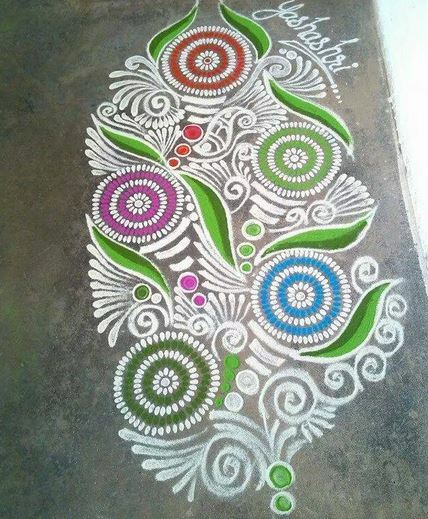 Make this rangoli designs without dots and color, barely any. If you want you can chuck that bit of pink too. Rangoli designs without dots are easy to make. You can let your creativity run in any direction. 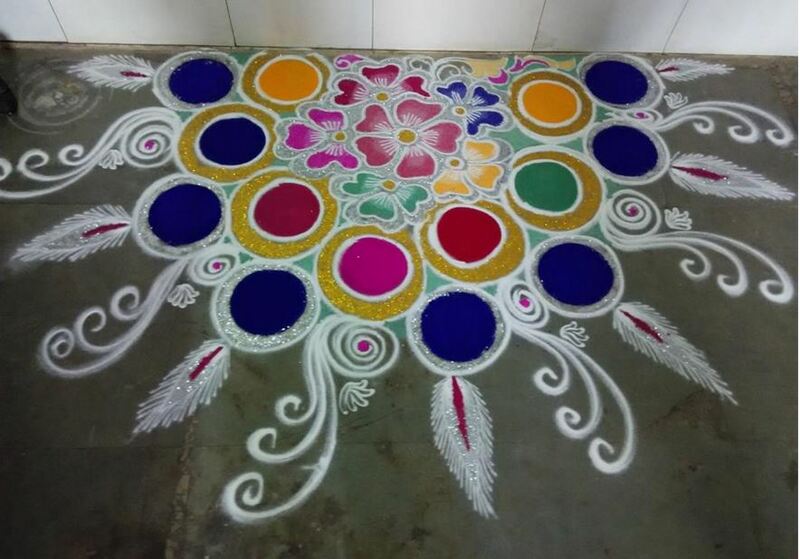 Make this gorgeous rangoli using rice flour and rangoli colors. 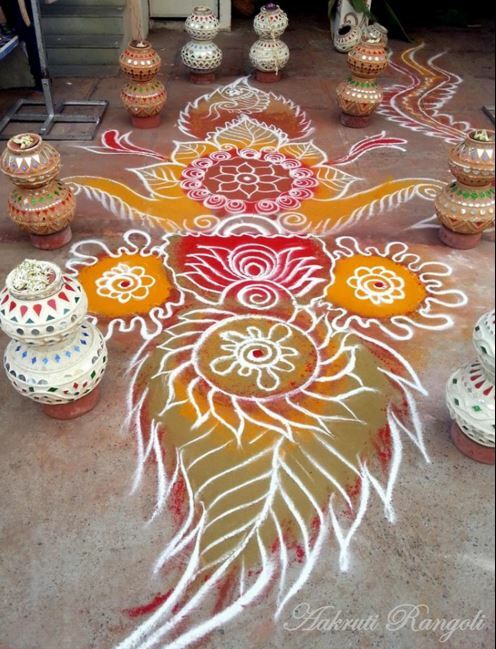 Make this rangoli for Sankranti. Place a tall candle stand in the center of your rangoli and light the candles to create a magical look. Choose these rangoli designs easy with simple patterns. 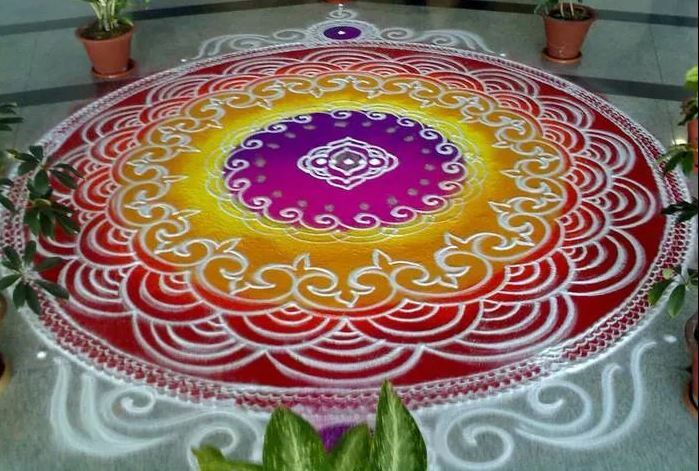 You can make this rangoli for Diwali, Dusehra, Holi, Ugadi or New Year. You can make this rangoli for Janmashtami. And, don’t forget to decorate your rangoli with diyas and candles when night falls. 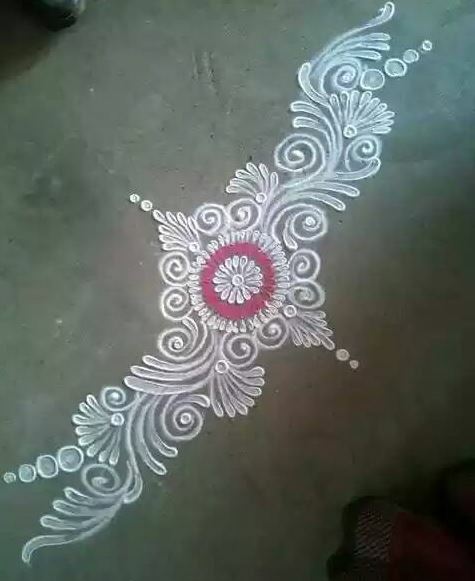 Go for this out-of-the-box peacock rangoli design. 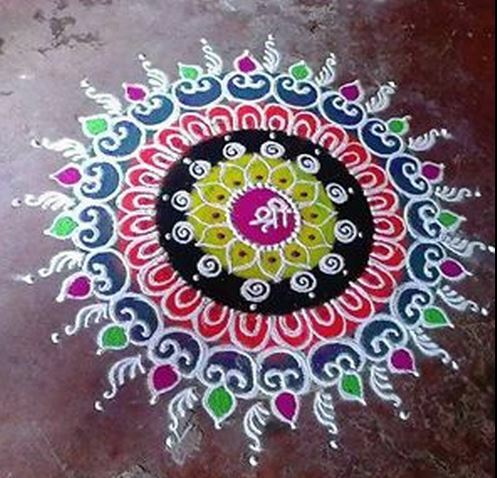 This rangoli is easy and anyone can give it a try. Create this square rangoli in your home with bright, vibrant colors. Make this small wonderful rangoli. But, it takes a lot of effort to draw these small patterns on it. 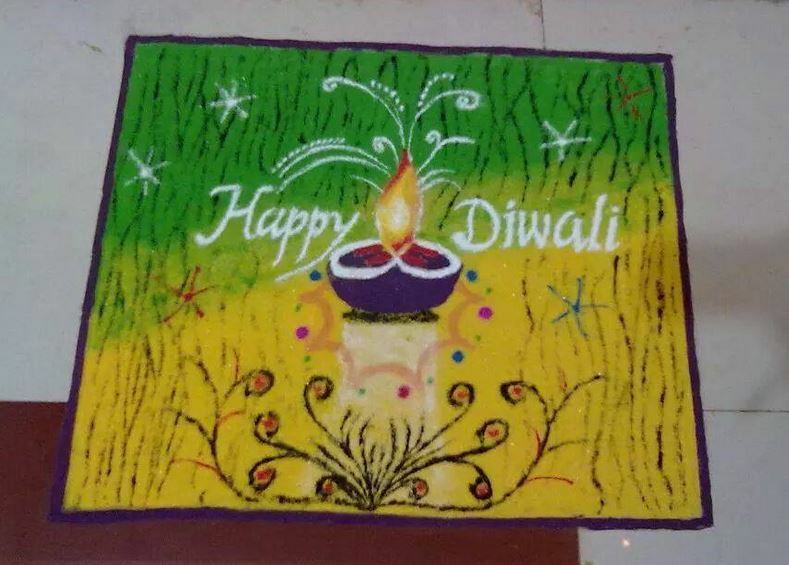 This entry was posted in Decor, Rangoli Designs and tagged Best Rangoli Designs without Dots, Colorful Rangoli Designs without Dots, Competition Rangoli Designs without Dots, Diwali Rangoli Designs without Dots, Easy Rangoli Designs without Dots, Free Hand Rangoli Designs, Free Hand Rangoli Designs without Dots, Holi Rangoli Designs without Dots, How to Make Rangoli, How to Make Rangoli Designs, Latest Rangoli Designs, Latest Rangoli Designs without Dots, New Year Rangoli Designs without Dots, Rangoli, Rangoli Design, Rangoli Designs, Rangoli Designs easy, Rangoli Designs for Competition, Rangoli Designs for New Year, Rangoli Designs for Sankranti, Rangoli Designs with Dots, Rangoli Designs with Dots Images, Rangoli Designs without Dots, Rangoli Designs without Dots and Colours, Rangoli Designs without Dots for Competition, Rangoli Designs without Dots Images, Rangoli Pictures, Simple Rangoli Designs, Simple Rangoli Designs without Dots, Small Rangoli Designs without Dots, Top Rangoli Designs without Dots by Homemakeover. Bookmark the permalink.